On Monday 18th June 2018 the Czech Army General Staff hosted a meeting of the Chief of General Staff Lieutenant General Aleš Opata and other General Staff, ground and air forces officers with the media, entitled „We know what we want and what we need to ensure defence of our country,“ during which the Chief of General Staff presented the actual aims and priorities of development and modernization of the Czech Army. The top priority, as announced by the general Opata, would be the projects of immediate impact, including ballistic protection means, tactical equipment and night vision devices for the troops. These should be concluded before 2020, and the army should see shortage in this domain no more. Besides these projects the army will focus on development of forces, modernization and acquisitions, command and control system and personnel recruitment. 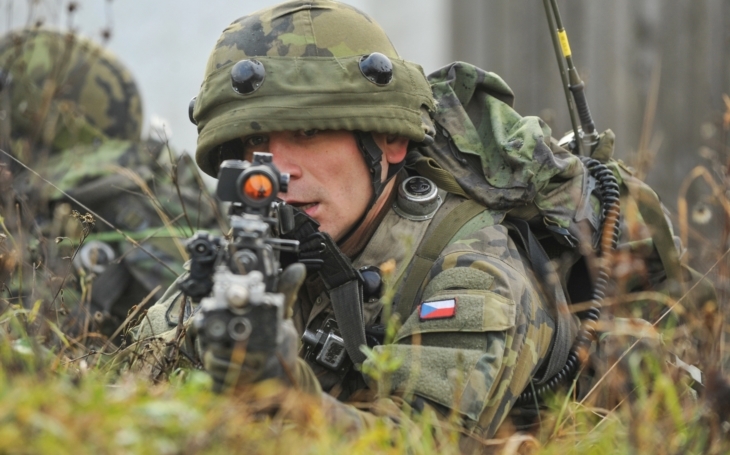 Formation of three concrete units has been mentioned: an airborne regiment (currently the Czech Army has the 43rd Airborne Battalion within the 4th Rapid Deployment Brigade), cybernetic forces and information operations headquarters, and Host Nation Support (HNS) battalion („to provide effective support to NATO military activities and to achieve efficiencies and economies of scale through the best use of a host nation’s available resources“). Another priority will be to complete the existing formations with able personnel and enlargement of the Active Reserves. and 52 self-propelled heavy guns of the NATO-standard 155 mm caliber built on TATRA wheeled chassis. and purchase of a new Airfield Radar System. According to the Chief of General Staff the army should invest in total more than CZK 100 billion (EUR 3.84 billion) before 2027.